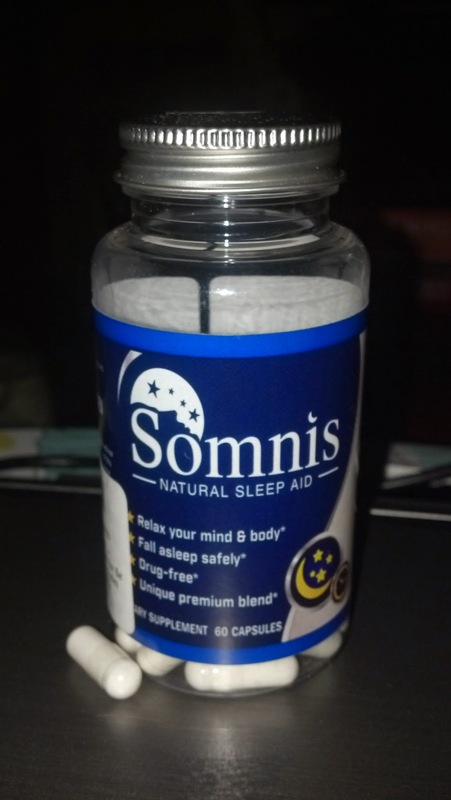 Somnis is an all-natural sleep aid that uses melatonin, GABA, Vitamin B-6, and L-Tryptophan. It's drug-free so there are no side effects and it's non-habit forming. Somnis helps promote a healthy sleep cycle by helping to calm and relax the mind to fall asleep faster and then stay asleep for a deeper, longer sleep. I have been taking Somnis for several weeks now - just one before bed each night - and it's been working great for me. I fall asleep quickly, but don't feel like I konk out before I'm ready to fall asleep. And then I sleep really deep and finally get to the dreaming stage of sleep, which I didn't feel was happening much before. I wake up feeling refreshed and not groggy at all - it's awesome! There have been a couple nights when I forgot to take it, and there was a huge difference in my sleep - I tossed and turned all night, kept waking up during the night, and felt really tired the next day. So I definitely benefit from taking Somnis and will continue taking it nightly. Overall, Somnis is a natural, non-habit forming sleep aid that improves sleep and gives me a good night's rest.